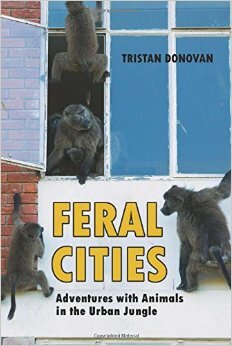 A review of Feral Cities: Adventures with Animals in the Urban Jungle, by Tristan Donovan. 2015. ISBN: 978-1-56976-067-3. Chicago Review Press, Inc., Chicago. 256 pages. From red foxes in London and wild boars in Berlin to cockroaches in New York City and slugs in Miami, Feral Cities is full of stories of urban wildlife. Some of the animals are familiar ones, such as the fruit flies you can’t keep away from your bananas, while others, such as Monk Parakeets in the middle of Brooklyn, are surprises. Until recently, cities were widely regarded as bereft of value for wildlife, but Donovan turns that belief on its head with his tales of both urban animals and the people who interact with them on a daily basis. The book opens with the story of a day spent with Bryan, a rattlesnake catcher in Phoenix, Arizona. A web designer during the day, Bryan spends his spare time serving as a snake-removal service for the serpent-infested homes and businesses of the desert city. Bryan’s stories of wrangling snakes in suburban garages and gardens and his interactions with residents reveal how little some people know about these creatures, despite living in close proximity with them. During one such episode, a homeowner who found a gopher snake in a sprinkler lid asks, “Do they have bones?” Another story—of a diamondback rattlesnake in the garage of a terrified family—exhibits the high levels of fear that encounters with urban wildlife can elicit. Overcoming this aversion to wildlife in our cities is of major concern. As cities continue expanding into natural habitats, close encounters with wildlife will only increase in frequency. Human urbanites will have intimate experiences with animals they never noticed or even knew about. Donovan says that he “wanted to show people who barely even think about urban wildlife what was there in their midst.” The book certainly accomplishes this goal. After introducing Bryan, the urban snake wrangler, the book expands to stories from locales as diverse as Berlin, Miami, Cape Town, Mumbai, and Los Angeles. These stories capture the truly multifaceted nature of the urban wildlife question. 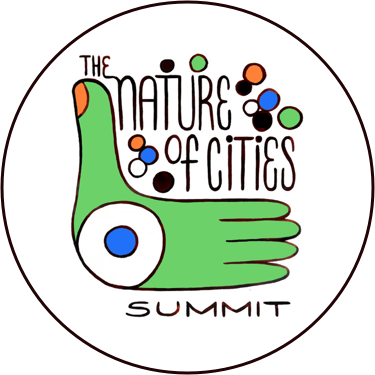 Topics as varied as economics, culture, architecture, and politics, in addition to biology, influence the study of wildlife in cities. One of the most complicated of these factors is human attitudes toward urban wildlife. Donovan does well when portraying the varied relationships between urban wildlife and people. In India, monkeys are viewed as an incarnation of the Hindu god Hanuman. Therefore, Indian authorities are reluctant to wage war on urban populations of these mischievous city inhabitants, even though they have caused multiple deaths, including that of Mumbai’s deputy mayor in 2007. In another sympathetic case, teams of volunteers in Chicago sacrifice their early morning hours roaming the streets of downtown, rescuing migratory birds that have collided with high-rises. On the other end of the spectrum are the almost militaristic efforts of the city of Miami against feral chickens and snails. Brought to the Americas by Europeans, chickens have taken to urban, suburban and rural areas via escapes from captivity. Nowhere is this more apparent than in Miami; some neighborhoods have literally thousands of chickens roaming the streets. The city has made multiple attempts at freeing the city from the clutches of these urban-adjusted birds, which are capable of ripping up a lawn in a matter of hours. Teams of chicken-hunters respond to complaints, chasing down and catching chickens in nets. Miami is also infested by the African land snail. Eight inches long when fully grown, these snails eat stucco off houses, lay hundreds of eggs per month (and can self-fertilize! ), carry a meningitis-causing nematode, and eat five hundred different crop plants. Donovan describes them as “giant potentially deadly hermaphrodite house-eating terrorist snails that breed fast.” These snails are a threat to homes, public health, and Florida’s economy, which is largely supported by agriculture. Accordingly, the African land snail has jumpstarted the largest pest-control response in Florida’s history, which appears to have slowed the spread of this monster. Donovan’s portrayal of varying human reactions to urban wildlife makes Feral Cities truly representative of issues surrounding urbanization’s effects on wildlife. Aside from the attitudes of the general public, some of Donovan’s stories give an up-close account of the scientists who study the complicated lives of urban wildlife. Studying animals in urban areas presents a number of challenges. Coyote researchers in Chicago sometimes have to do some light trespassing, using private driveways in order to track animals living in residential areas. Wildlife officials in India are often forced to remove or put down jaguars that become accustomed to urban living. Urban wildlife scientists are also usually the people responsible for communicating with the public about urban wildlife. Los Angeles, California harbors one of the United States’ most famous urban wildlife examples—the mountain lion, P-22. Making his home in L.A.’s Griffith Park, P-22 has brought the issues associated with urban wildlife to the fore in one of the country’s largest cities. Some residents are proud of P-22, while others readily accuse him and his ilk of attacking household pets, although, in reality, this is rare. It often falls to scientists to communicate facts about urban wildlife aimed at increasing acceptance of sharing our homes with non-human residents. The book concludes with a message of hope. Designing wildlife-friendly cities will be a major focus in the future of studies of urban wildlife, architecture, and urban design. Donovan uses the Nature Boardwalk at Chicago’s Lincoln Park Zoo as an example of how these efforts have already begun. After reseeding, a concrete pond was transformed into a veritable urban oasis, harboring a multitude of native plants. Nest boxes are supplied for Black-capped Chickadees, while native fish swim in the pond below droves of native dragonflies. Turtles have found their way to the pond, as has the Black-crowned Night Heron, an endangered species in Illinois. Chicago is a leader in wildlife-friendly urban design, but other cities are following suit, such as Berlin, Germany, which has initiated efforts to connect all the city’s green space to serve as wildlife corridors. Donovan also highlights the non-conservation benefits of urban wildlife: improvements to human health and increased exposure to nature, to name a few. Donovan calls for all of us to open our eyes to the wildlife that lives around us in cities, from rare endangered birds to common squirrels to sidewalk ants to the spiders roaming our apartments. Donovan hopes that his book will excite people about urban wildlife or, at least, prompt them to be more appreciative of it, much as he has been over the years. As a student at Plymouth University in the UK, Donovan worked on surveys of urban lichens, but a volunteer stint at a magazine convinced him to become a journalist. 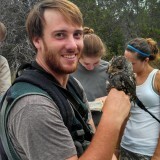 Despite the change in his career path, Donovan remained interested in ecology and always hoped to write about it. The inspiration for Feral Cities finally arrived in the form of London’s red foxes. After reading newspaper columns about the foxes, Donovan came up with the idea for a book about urban wildlife, which became Feral Cities. For Donovan, urban ecology is more than animals alone—“it’s ecology meets evolution meets architecture meets planning meets psychology meets social policy”. This interdisciplinary understanding of the issue is certainly apparent in the excellent Feral Cities. Although not an analytical, scientific text, the book provides a unique look into the lives of both urban wildlife and its human counterpart. For anyone interested in any of the many aspects of urban wildlife, Feral Cities will be a vastly entertaining read. meanwhile Chris sent a positive respond – and now I hope to get your permission too. We are a non-profit online magazine, BIOTOPE CITY JOURNAL [ http://www.biotope-city.net ] with the subtitle ‘The city as nature’, edited by the Foundation Biotope City, Amsterdam, and address architects, urban planners, politicians, citizens and of course ecologists and tree experts too. 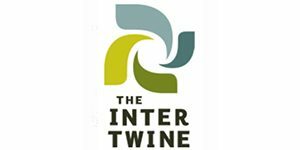 The articles are published in one (or more) of the four languages english, french, german and dutch. We are visited from people all over the world, mostly of course in the english language, but a third of them also form the german speaking countries. But as a free magazine without any advertising we all are volunteers and cannot pay a fee. Helga. Write me about this. We usually welcome these kinds of cross postings. good review – makes curious to read the book! as an editor of the nonprofit online journal BIOTOPE CITY I would ask you wether you could agree that we take over, under the rubric GALLERY, your review 2015. I guess it is a very interesting book for our readers, too.